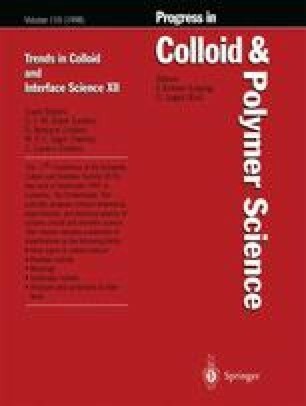 The aggregation of colloidal polystyrene latex particles has been investigated using small-angle static light scattering. Aggregate structures were found to be mass fractal in nature for both the salt-aggregated and depletion-flocculated systems. The measured fractal dimensions were found to be highly dependent on the salt concentration, the concentration of non-adsorbing polymer and the initial particle concentration in solution. The fractal dimensions observed for the depletion-flocculated aggregates, particularly at low polymer concentrations, were significantly larger than those observed for the salt-induced aggregates. Interestingly, for both aggregation systems, an increase in the initial particle concentration resulted in lower fractal dimensions.